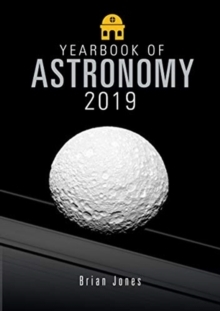 Maintaining its appealing style and presentation, the Yearbook of Astronomy 2019 contains an authoritative set of sky charts and comprehensive jargon-free monthly sky notes to enable backyard astronomers everywhere to plan their viewing of the year's eclipses, comets, meteor showers and deep sky objects. In addition, a variety of entertaining and informative articles present the reader with information on a wide range of topics including, among others, The Cassini-Huygens Mission to the Saturn System; 100 Years of the International Astronomical Union; The First Micro-Quasar; Getting the Measure of Double Stars; Asaph Hall: Man of Mars; and Science Fiction and the Future of Astronomy. The Yearbook of Astronomy has been around for well over half a century and, as it heads towards its Diamond Jubilee edition in 2022, continues to be essential reading for anyone lured by the magic of astronomy and who wants to extend their knowledge of the Universe and the wonders it plays host to.